Sequel to the order given by the Acting President Yemi Osinbajo for the overhaul of the Special Anti-Robbery Squad, Inspector General of Police, Ibrahim idris, has ordered its immediate overhauling to address complaints and allegations of human rights violations against some of its personnel. The Ag. President gave the order on Tuesday and the Police IG complied immediately. 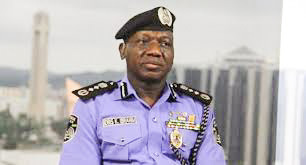 1 The Inspector General of Police in compliance with the Presidential directives has ordered the immediate overhauling of the Special Anti-Robbery Squad (SARS) to address complaints and allegations on human rights violations against some of the personnel of Special Anti-Robbery Squad (SARS) from members of the public in some parts of the Country.